Despite the skepticism portrayed of alternative medicine in popular media, there is a surprising amount of scientific evidence for the effectiveness of acupuncture. 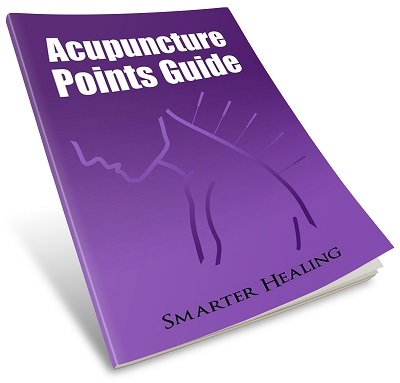 Even though acupuncture works with invisible energy within our body that is not directly observable, many studies have attempted to observe the effects of acupuncture on healing the human body, and many have done so successfully. A quick search of the US science archives shows more than 25,000 scientific papers involving acupuncture in some way. I have taken the time to read through many of them and list some interesting ones below. Acupuncture for back pain: a meta-analysis found that acupuncture, and some other forms of alternative medicine, are effectively at relieving lower back pain. Acupuncture for chronic pain and depression: a meta-analysis found that acupuncture is effective at treating chronic pain of various types as well as depression. Acupuncture for smoking: a study of cigarette smokers who tried acupuncture found that acupuncture treatments helped patients smoke fewer cigarettes and increased their chances of total smoking cessation. Acupuncture for fibromyalgia: a study of fibromyalgia sufferers found that acupuncture plus moxibustion treatments were more effective at relieving fibromyalgia-caused pain than two different painkiller drugs. Acupuncture for infertility: a study of women seeking to have children found that those who received acupuncture became pregnant more quickly than those who did not. Acupuncture for stress and anxiety during pregnancy: a study of pregnant women found that acupuncture, and several other alternative therapies, were effective at reducing stress and anxiety in pregnant women. Acupuncture for female reproductive health: a study found that acupuncture was effective at increasing rates of pregnancy in women who suffered from polycystic ovarian syndrome and decreasing rates of ovarian hyperstimulation syndrome. Acupuncture for nutritional absorption: a study of obese patients with iron deficiency found that acupuncture increased the rate of intestinal iron absorption. Acupuncture for weight loss: a meta-analysis of previous studies found that acupuncture is effective in helping patients lose weight and keep it off. Acupuncture for PTSD: a meta-analysis found that acupuncture is effective at relieving symptoms of posttraumatic stress disorder. Acupuncture for skin health: a meta-analysis of studies found that acupuncture was effective at treating a wide range of skin conditions. Acupuncture for competitive anxiety: a study on student athletes found that acupuncture was effective at reducing anxiety before a sports competition. Acupuncture for migraines: a study of migraine sufferers who received acupuncture treatment found that acupuncture reduced the recurrence rate of migraines. Acupuncture for tinnitus: a study of tinnitus sufferers found that acupuncture provided short term relief from tinnitus. Acupuncture for stress reduction: a study of middle aged women who received acupuncture treatments found that various biological indicators of stress, including cortisol levels, were reduced. Acupuncture for academic success: a study of students who received acupuncture treatments for various health conditions found that their grades in school improved. Acupuncture for nausea and vomiting: a study found that acupuncture was effective at reducing nausea and vomiting in chemotherapy patients. Acupuncture for asthma: a meta-analysis of studies found that acupuncture is effective at treating some symptoms of asthma. Acupuncture for gout: a meta-analysis of studies found that acupuncture is effective at reducing some symptoms of gouty arthritis. Acupuncture for high blood pressure: a study of patients who were already taking medication for high blood pressure found that the addition of acupuncture treatments produced significant results in helping reduce high blood pressure. Acupuncture for menstrual cramps: a study found that acupuncture was effective in reducing pain associated with the menstrual cycle. Acupuncture for sinusitis: a study found that acupuncture was more effective at providing long lasting relief from sinus infection than antibiotics. In the interest of being fair and honest, during my time researching acupuncture studies, I also found some that did not conclude that acupuncture was effective compared to placebo. However, I did not find any study indicating that acupuncture had a detrimental effect on any health condition, just some studies in which no beneficial effect was observed. Acupuncture for major depression: a meta-analysis of studies found that acupuncture is not very effective at treating major depression. Acupuncture for joint pain: a review of studies found that there is a lack of evidence for acupuncture's effectiveness at reducing joint pain in the knee. This is despite the fact that many clinicians prescribe acupuncture for joint pain. Acupuncture for menopause: a review of studies found that there is insufficient evidence that acupuncture is effective at treating menopause. Acupuncture for insomnia: a review of studies found that acupuncture may be helpful at relieving insomnia, but the evidence is insufficient to make a definitive conclusion. Another review of studies found the same: that acupuncture may be helpful for insomnia but results are inconclusive. Acupuncture for autism: a meta-analysis of studies found that acupuncture showed promising results for treatment of autism symptoms, but also found that more definitive studies are necessary to prove acupuncture's effectiveness in this area. Acupuncture for uterine fibroids: a meta-analysis of studies found that there is a lack of evidence of acupuncture's effectiveness at treating uterine fibroids. However, one case study is available in which a female patient who received electro acupuncture experienced reduced symptoms of uterine fibroids. Acupuncture for rheumatoid arthritis: a meta-analysis of studies found that the results of using acupuncture to relieve arthritis pain are mixed. The study calls for more analysis to produce a definitive conclusion on acupuncture's effectiveness in treating arthritis. Acupuncture for seasonal allergies: a review of studies found that the effectiveness of acupuncture for relieving allergy symptoms is mixed. Acupuncture may be effective at treating allergies, but more study is required.